The transition from adolescence into adulthood is no easy feat. The teenage years are filled with triumphs and numerous setbacks. In many Native communities, kids are exposed to much more pain growing up, witnessing their loved one’s attempt to fight through adversity and find ways to cope with the years of generational trauma that is embedded in our DNA. Sometimes we find healthy outlets to work through that trauma and other times we look for ways to escape it. In addition to finding their personal identity, studying, participating in social activities and preparing for college, Native youth face many similar challenges as the average teen, but arguably at a higher extent, such as depression, violence at school or at home, the pressure to abuse drugs as well as the loss of friends or family to suicide. Teens often need an extra bit of encouragement to help them through their periods of struggle. Many kids look to confide in somebody outside of their families, who can listen, relate and provide a positive perspective to help them keep pushing forward. 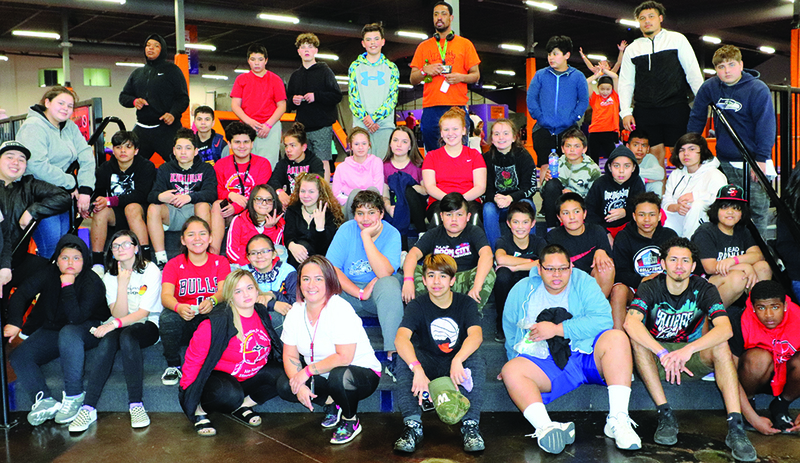 Tulalip Outreach workers, Dakota (Cody) Monger and Cassandra Jimicum, are providing exactly that for several local youth of the community. 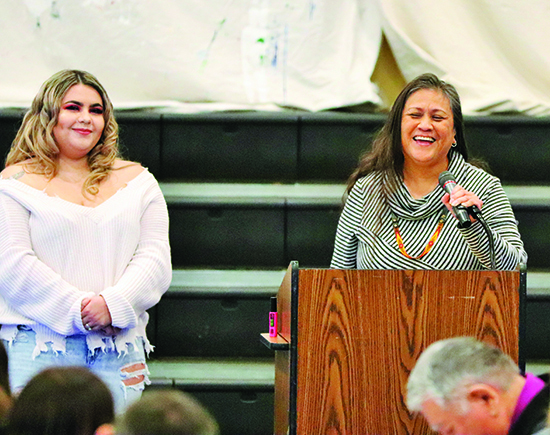 The Family Haven program, Team Outreach, is designed to provide support to Tulalip youth, helping them accomplish their goals and get things back on track. 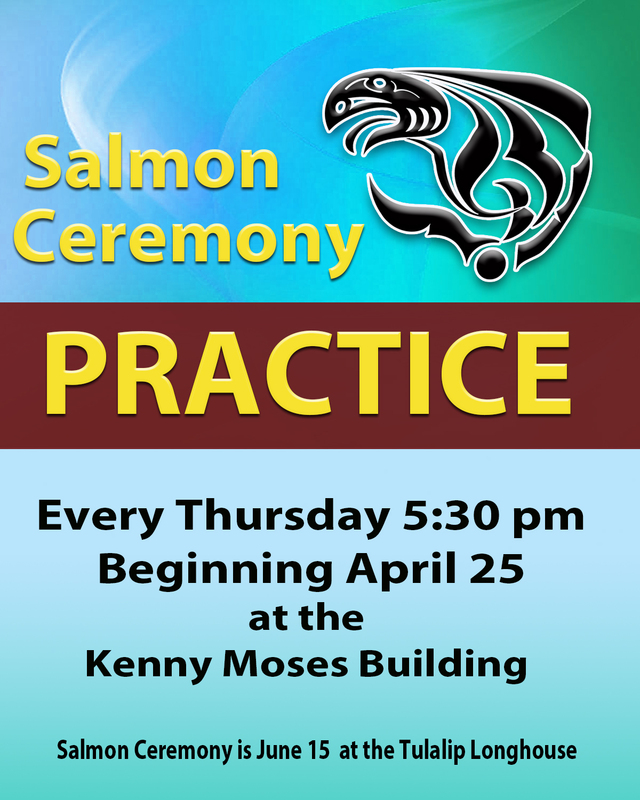 Cody works with the young men of Tulalip between the ages of thirteen and twenty-two, while Cassandra works with the young ladies between fourteen and twenty-two. The teens learn how to set, prioritize and accomplish both short and long term goals while also receiving assistance with recovery, physical and mental health, legal issues, obtaining a driver’s license, money management and resumes. 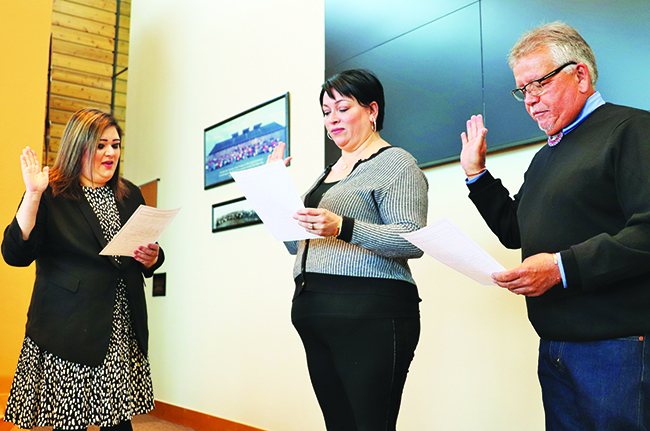 The program assists high school students get re-enrolled if they dropped out of school and also helps those who wish to transfer schools within the Marysville School District. Both Cody and Cassandra have seen a number of success stories from the youth who participate in their groups. They explained that they proudly watched several individuals overcome personal obstacles and achieve huge feats, rising to the challenge one issue at a time and getting things done. “I had a young man who posted every day that he didn’t want to be here,” Cody states. “It took about six to eight months pinpointing where the issue stemmed from. We had to break everything down, just so he could be happy again. Now the only thing he posts are messages saying ‘I’m doing fantastic, I’m going to school today or I love being a stepdad.’ He went from a deep, deep depression to being happy and thankful every day. He’s holding down a job, getting his GED, he became a stepfather and recently he’s started traveling more. The Outreach workers meet one-on-one with their teens on a weekly-basis, allowing them the chance to vent about any current difficulties they are experiencing as well as celebrate any new victories. Cody and Cassandra make the experience as smooth as possible for their clients by meeting them where they’re most comfortable, whether that’s at the Family Haven office, home, school, a coffee shop or a restaurant. Since Cody’s program has been established for a few years, many members of his group are well-acquainted with each other and have created a strong support system within the group. 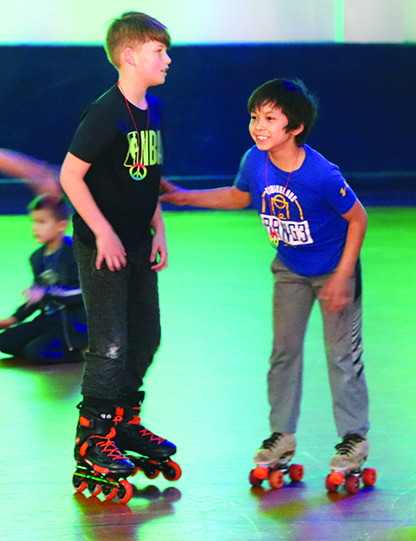 Cody also holds a study day on Wednesdays as well as an end-of-the week gathering, where those who wish to participate can meet up to talk about the week or participate in a physical activity together, like weight training or a pick-up game of basketball at the Marysville YMCA. As Cassandra’s program continues to gain momentum and additional participants, she also wishes to hold group gatherings throughout the week to enhance life skills with cooking and exercising classes as well as fun art and craft activities. Currently Cassandra is guiding six young ladies through the program and Cody is serving twelve young gentlemen on a consistent basis. They want to extend a friendly welcome out to other young adults in the area who can benefit from this program, as well as to those parents and teachers who may have someone in mind that could use a helping hand, and some encouragement to reach their full potential and beyond. 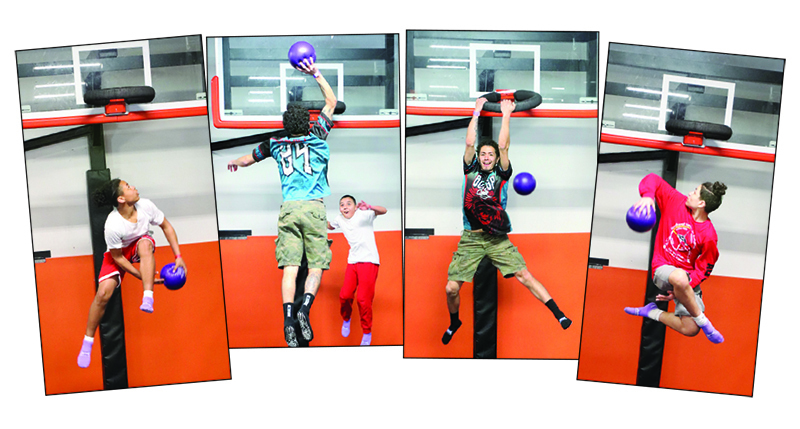 For more information about the Team Outreach program, please contact Family Haven at (360) 716-3284. 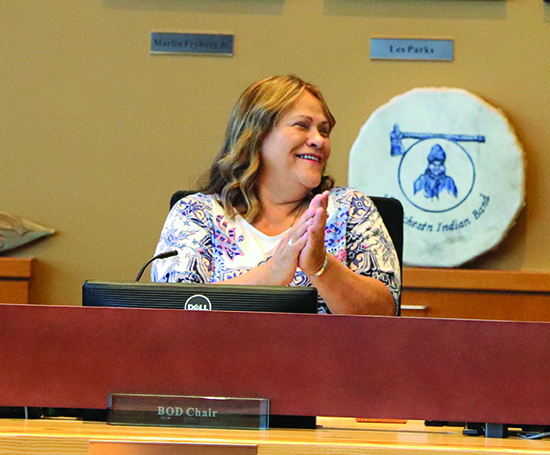 Warrant Amnesty means that on the scheduled days and times, a community member who has a warrant out of the Tulalip Tribal Court can come to Court and quash their warrant without a quash fee and will not be taken into custody regardless of case charge(s). YOU MUST BE HERE AT THE TIMES ABOVE OR YOU MAY NOT GET A HEARING! You will be issued a new court hearing date to review your case. 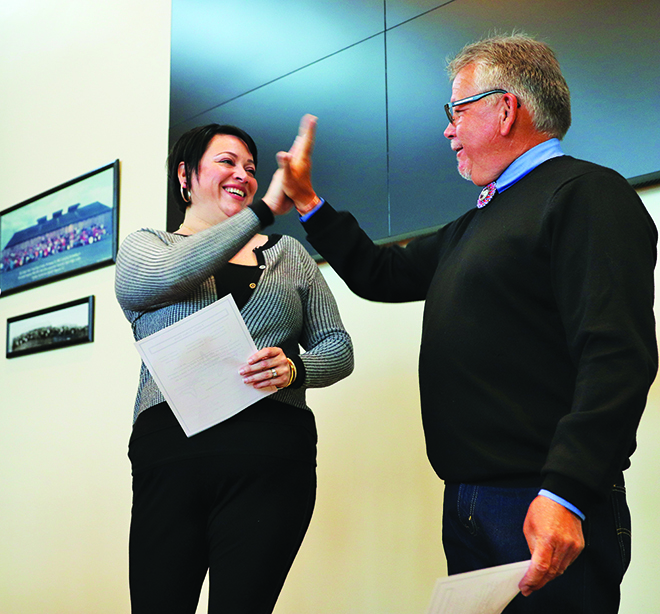 There are over 300 active warrants in the system– costing police officer time, judicial and clerk time, and increasing jail costs, therefore, the Tribal Court is offering this Warrant Amnesty Week. Please visit us at our new justice building: 6332 31stAvenue NE, Suite B, Tulalip, WA 98271. If you have any further questions regarding our upcoming Warrant Amnesty Week, please contact the Tulalip Tribal Court at 360-716-4773. Don “Penoke” Hatch Youth Center. Kenny Moses Building. Greg Williams Court. Alpheus “Gunny” Jones Ball Field. Debra Barto Skate Park. 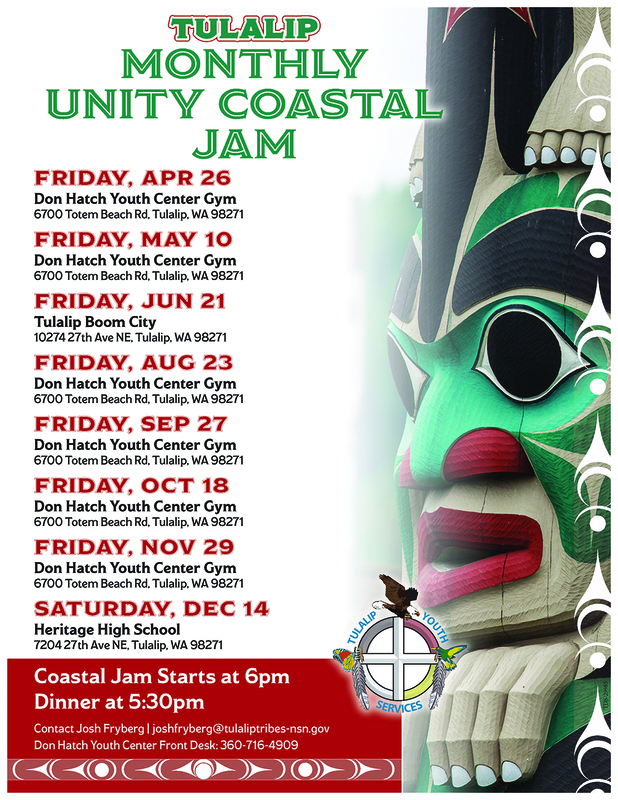 These locations have become five common place names in everyday Tulalip lexicon. However, the people these locations are named after are anything but common. They were influential individuals who dedicated much of their lives to supporting, bettering, and empowering tribal youth. 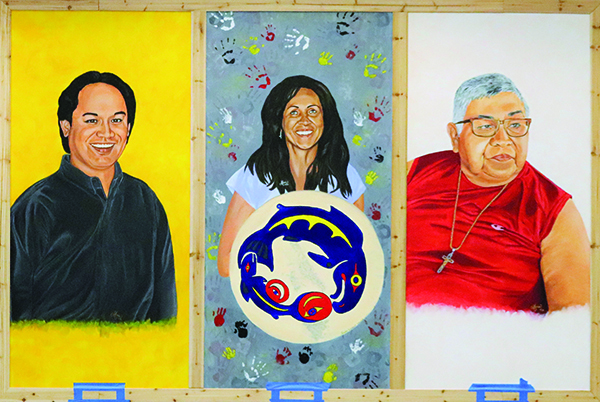 Each a Tulalip citizen, their commendable spirits are now immortalized in paint as part of a five portrait project known as the UNITY mural. The highly anticipated mural reveal took place on Saturday, April 13. 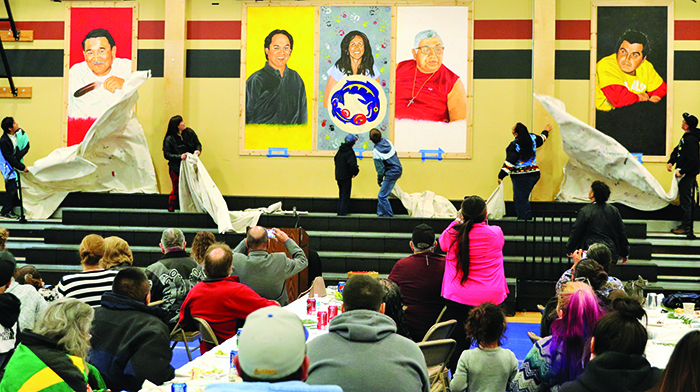 More than 150 community members gathered at Greg Williams Court to share in the special moment as the curtains were pulled down and the vibrant portraits were put on full display. This type of gathering was exactly what the project coordinator had in mind. “Initially, I envisioned something that would bring the community together and bring families together,” explained mural coordinator Deyamonta Diaz. “These murals tell the stories behind our buildings, who they are named after, and the legacy these people left. To see all five people together gives the families an opportunity to share memories. Legacy was a concept routinely mentioned as speakers and representatives for each painted figure shared loving words and fond memories. 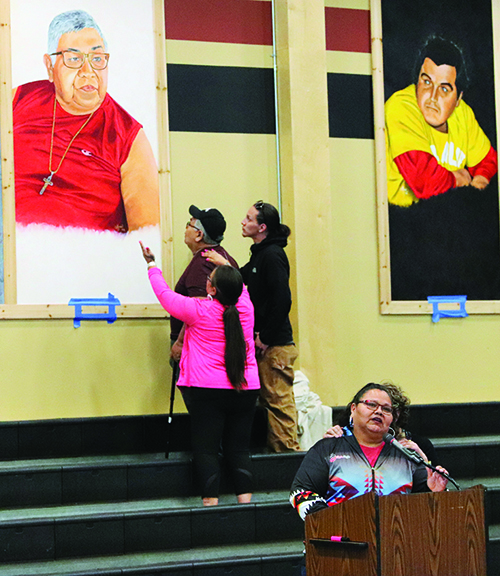 A shared hope for future generations to carry on their family member’s legacy through resolve and action, while looking to each painting as a symbol of support when needed, was also expressed repeatedly at the podium. Don “Penoke” Hatch gets an up close and personal view of his portrait, while daughter Denise speaks of his long-time commitment to the youth. 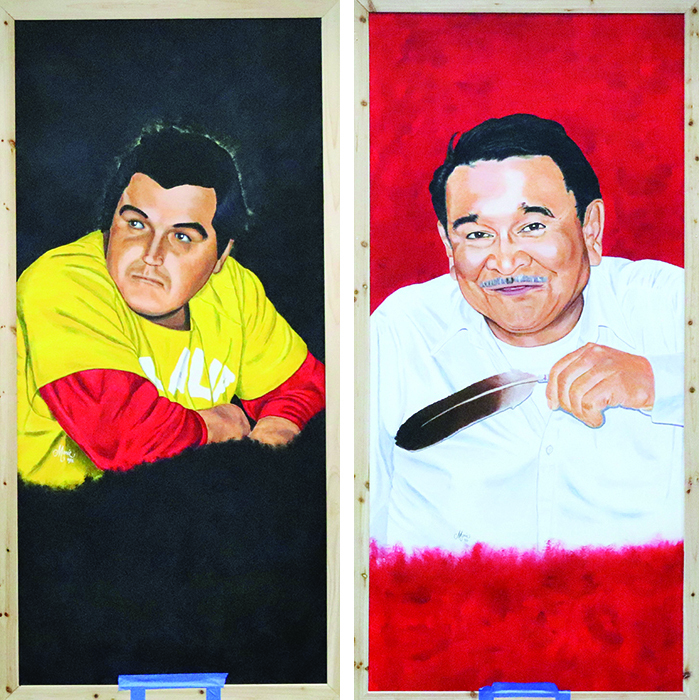 Four of the five mural honorees have passed on, with Penoke Hatch being the lone exception. 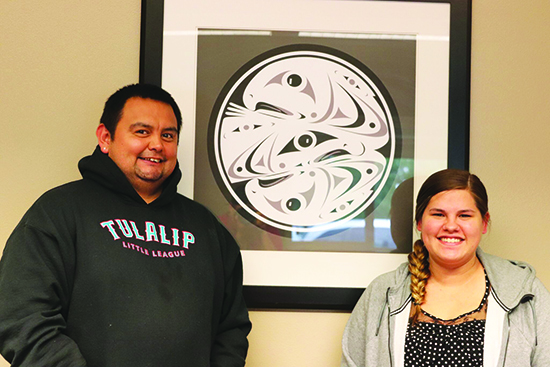 Honoring those represented on the Tulalip Bay athletic campus with a UNITY mural was made possible in partnership with Youth Services and local Native artists, Monie Ordonia (Tulalip) and Jordan Willard (Tlingit). Tulalip artist Monie Ordonia (right) and assistant Jordan Williard (Tlingit) reflect on their painting process during the mural reveal. “They had a vision of having portraits in mural form of all the legends that these building are named after,” said Monie. “The concept incorporates Native colors, so we used red, black, yellow, and white as the backgrounds. For Debbie, we used gray as the background and then incorporated her grandchildren’s hand prints. The memories of Kenny Moses, Debra Barto, Greg Williams, Penoke and Gunny Jones are kept alive by those who knew them best. Some were beneficiaries of their admirable determination, while others were fortunate to witness their heroic exploits in action. For everyone else, the UNITY mural serves as a reminder that legends are never forgotten. Every April, people travel from around the world to the outskirts of Mount Vernon, Washington to witness thousands of tulips burst into bloom at the Skagit Valley Tulip Festival, officially welcoming the arrival of the spring season. 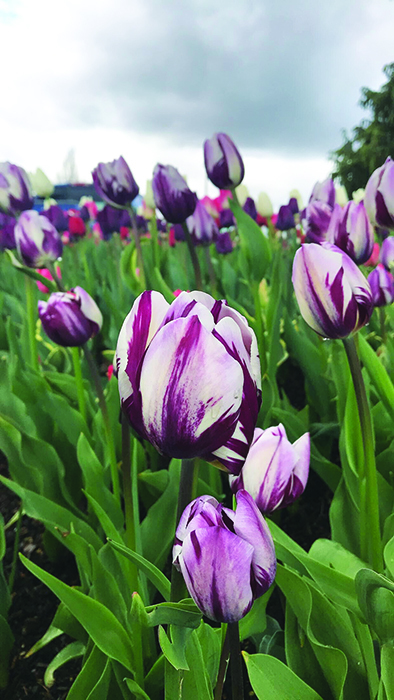 At two featured sites, Roozengaarde and Tulip Town, spectators are treated to a stunning visual experience provided by Mother Earth, and the bulb growers as well. 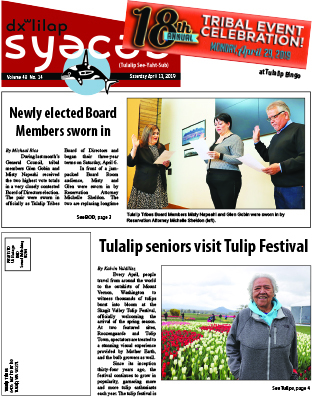 Since its inception thirty-four years ago, the festival continues to grow in popularity, garnering more and more tulip enthusiasts each year. The tulip festival is in fact Washington State’s biggest festival, attracting over one million participants annually. 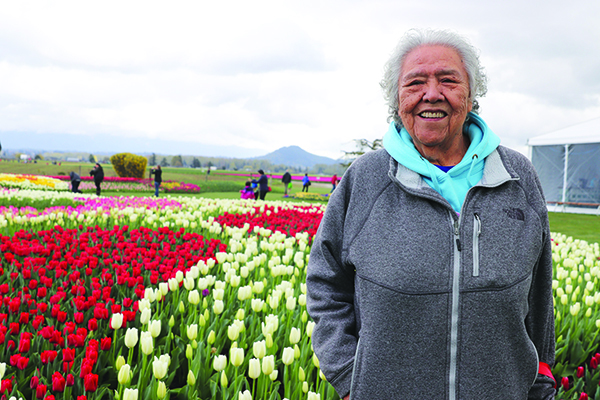 This year, the Tulalip Senior Center organized a trip for the local elders of the community to join in on the outdoor fun at the festival and witness the beauty of Mother Nature firsthand. 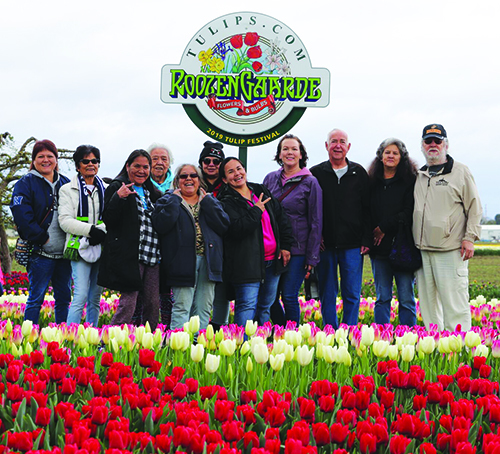 Eleven elders met bright and early at the Tulalip Dining Hall on the morning of April 9, and made the hour-long journey north to Roozengaarde Flowers and Bulbs, a family owned establishment that has been in the tulip growing business for over seventy years. Arriving well before the rush, the seniors had plenty of time to walk about the enormous garden and admire the tulips without feeling overcrowded or pressured to hurry along. Rows and rows of tulips, varying in all different types of vibrant red, pink, yellow, purple and white colors, were just beginning to bloom during the seniors visit, generating a lot of oohs and ahhs as well as several smiles from the elders, as they stooped low to get an up-close look at the flowers. 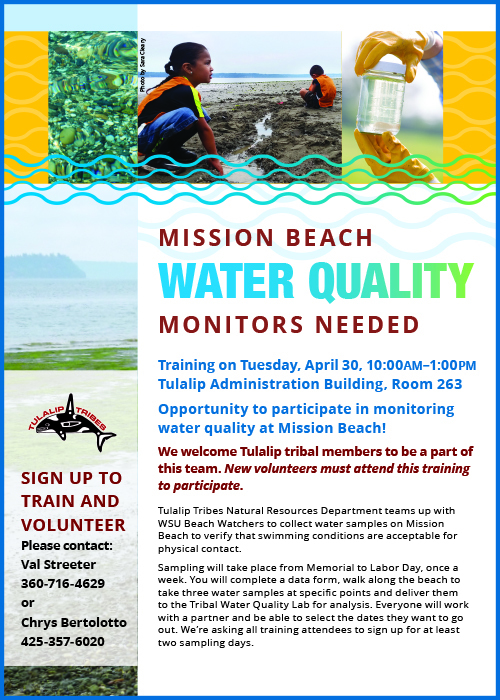 The idea was originally presented by Tulalip elder, Barbara Jones, when brainstorming field trip destinations for the seniors. 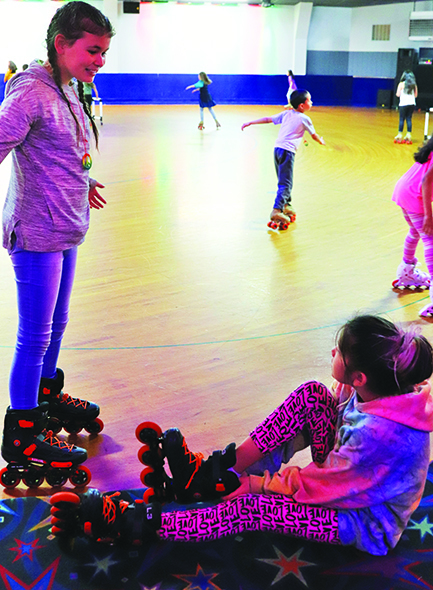 She stated that she thought it would be a great way for the fellow elders of the community to enjoy a springtime activity as well as get some fresh air and ‘to get out and get moving’. The elders broke off into small groups as they made their way through the garden, enjoying company and exploring hundreds of acres of tulips, as well as daffodils, for approximately an hour-and-a-half. The seniors finished their self-led tours just on time as people began to arrive by the carload with their cameras in hand, to capture the gorgeous flowers as they began to open up. The group also enjoyed a picnic lunch and visited the Roosengaard merchandise shop where they could purchase any of the tulips that were on display to take home and add to their personal garden.